A WEEK END AT HOME! I was thrilled to be able to be at home this holiday week end and to attend my home church where I spent 3 decades of service as pastor. My son Bob II is doing a marvelous job. Many trusted Christ and were baptized this Lord’s Day. Evangelist Allen Domelle taught Pastor’s Sunday school class on marriage. If you have not purchased his latest book on marriage it is well worth the money and is being used in churches all over this nation. Sunday morning and Sunday night were especially a blessing. My son did an excellent job with his sermons. The music was old fashioned and the spirit was electrifying to say the least. YES, we still have church on Sunday night. No cell groups at LBT. The book signing Sunday night after church was a great success. It was an honor to be in my home church and to have the dear people line up to purchase these books. I was privileged to pastor for 3 decades this great church. Many who stood beside me in those 3 decades came by to purchase my new books. As long as the critics howl and attack I intend to DEFEND. Please visit SOLVECHURCHPROBLEMS.COM and order your copy today. While you are there you can subscribe to this BLOG to insure receiving it each week. These are hardback books with beautiful dust jackets. WHEN PRINCIPLE WAS KING is a 408 page hardback book filled with 33 chapters. TRIAL BY FIRE is a 384 page hardback book with 33 chapters. JACK HYLES-The Communicator is a 384 page hardback book with 33 chapters. My son Bob said last night his favorite chapter was “My Name Is Jack Hyles”. Order yours today! This man of God founded TEXAS BAPTIST CHURCH 13 years ago. They began in a bar and now have a church building of their own. They have spent a lot of money in refurbishing their current church property. 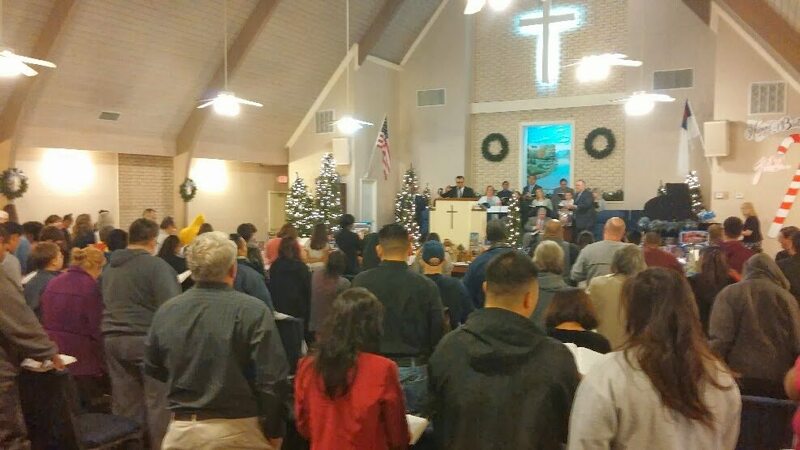 The Sunday I was there they had 10 visiting families with 10 saved and 8 baptized. The following week they had 22 saved and 13 baptized. Amazing work. Pastor Keith Bell is a grad of TEXAS BAPTIST COLLEGE and we are extremely proud of him The dear church is averaging just under 400 each Sunday and is a strong soul winning church. The Auditorium Sunday school class that I taught was full and the response was wonderful. The strength of a church is found in its Sunday school structure. That is the foundation that must be effective in order to have a growing church. Thank you Pastor Bell for being faithful to God’s work for over a decade in San Antonio, TEXAS.